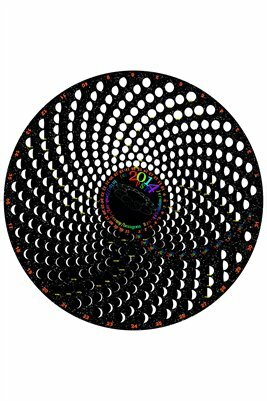 Moon phase calendar for 2014 - this calendar shows the moon's phase for every day of the year. Time of day is shown for new & full moons and first & last quarters. Times are shown in the time zone indicated in the title. Although the months are laid out concentrically, the radial layout is more prominent, or especially the spiral layout - see title for which option this one is.